One of the best jazz trumpeters in the world together with one of the world’s leading jazz drummers transform Yugong Yishan for one night only into the best of New York’s jazz clubs. The great Ryan Kisor and Willie Jones III are coming to China! Described as two of the world’s most outstanding jazz musicians today, the Lincoln Center Jazz Orchestra trumpeter Ryan Kisor and drummer Willie Jones III are both consummate artists known for their rare musical and technical ability, and their music has been the favorite among jazz musicians and audience worldwide. As the first gig of their “Ryan Willie and Friends” series in China, Ryan and Willie will collaborate with one of the finest jazz keyboard players in China Xia Jia on some of their original compositions and wow the audience with their unparalleled technical brilliance and stylistic authenticity of the Trio. 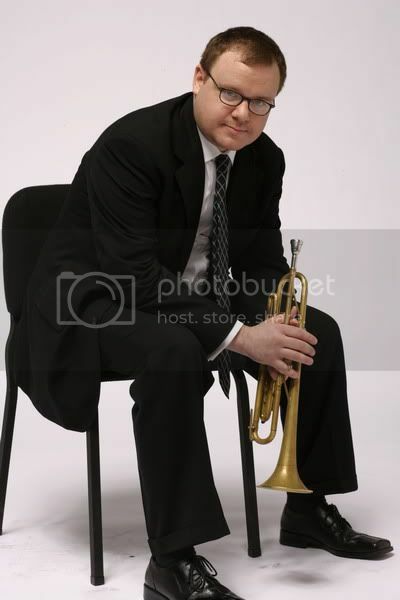 Ryan Kisor, one of the best jazz trumpeters in the world, was born April 12th, 1973 in Sioux City, Iowa. He began playing in a local dance band by the age of ten, began classical lessons at 12, met and was inspired by Clark Terry at 15 (while attending the latter’s summer jazz camp) and played with various high school all-star bands. In November of 1990 he won the Thelonius Monk Institute’s trumpet competition at the age of just 17, beating out the likes of Nicholas Payton and Marcus Printup. After graduating from high school in 1991, he went to the Manhattan School of Music and later studied with Lew Soloff among others. He has recorded fairly extensively both as a leader and sideman and with small and large groups. Among the highlights; the Mingus Big Band (which still plays every Thursday night at “The Fez” under Time Cafe in NYC’s east village), the Michel Camilo Big Band (which although only existed for the purpose of recording the album, “One More Once,” was arguably one of the best latin big bands recorded in recent memory), the Lincoln Center Jazz Orchestra, Gerry Mulligan, Wynton Marsalis, Wycliffe Gordon, Horace Silver, and Walter Blanding. 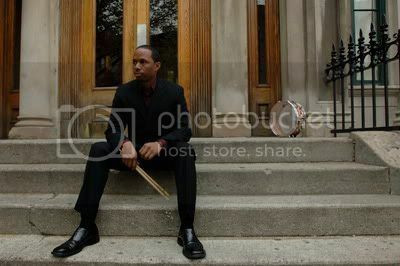 With an unparalleled style of rhythmic expression, drummer Willie Jones III is one of the world’s leading jazz drummers. In addition to honoring the late great Philly Joe Jones, Art Blakey and Billy Higgins as his monumental influences, Jones’ bold articulation and constantly innovative sense of swing are direct results of his life-long musical experience. has worked with Sonny Rollins, Ernestine Anderson, Bobby Hutcherson, Wynton Marsalis, Cedar Walton, Billy Childs, Eric Reed, Ryan Kisor, Eric Alexander, Bill Charlap, Michael Brecker, Herbie Hancock and Hank Jones. In 2000, Jones’ released his debut CD, Vol 1…Straight Swingin’ on his own label, WJ3 Records. He continues to reveal his proficiency as a composer as well as a producer on Vol II…Don’t Knock The Swing (WJ3) released in 2002 and his latest release, Volume III (WJ3). In 2007, he produced and released WE 2 (WJ3), a trombone and piano recording featuring Wycliffe Gordon and Eric Reed.